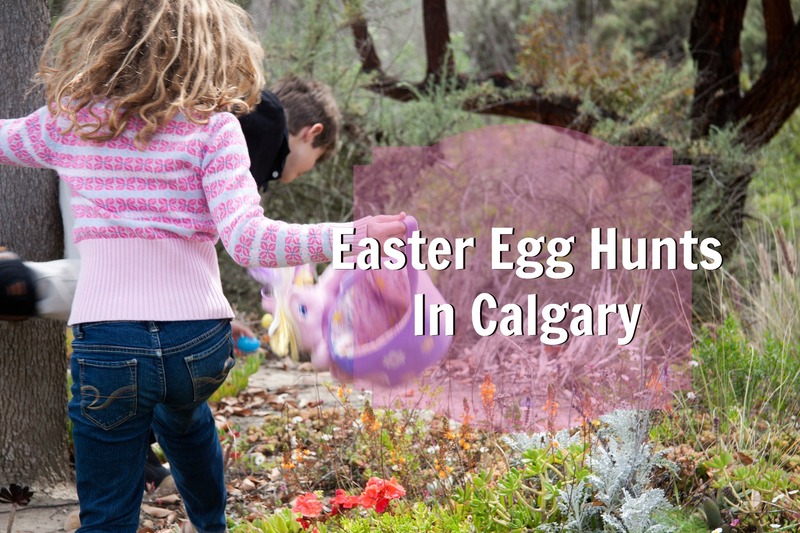 Easter Weekend is April 3-6 in 2015, and there are many great places around Calgary to get out and scavenge for your spring treats with the kids. Before you check out the a list of Easter Egg Hunts In Calgary For Kids And Families, I’d suggest you click over here and get the season started properly with a deep fried Cadbury Easter Creme Egg. Ahem. The Bragg Creek Community Centre Pancake Breakfast and Easter Egg Hunt is our favorite each year. It’s on Saturday April 4, 2015 10a – noon. It’s a reasonable $5, while kids under 5 are free. The pancake breakfast is the yummiest around (the rosemary sausages are soo good), as well as all sorts of crafts and activities for the kids. 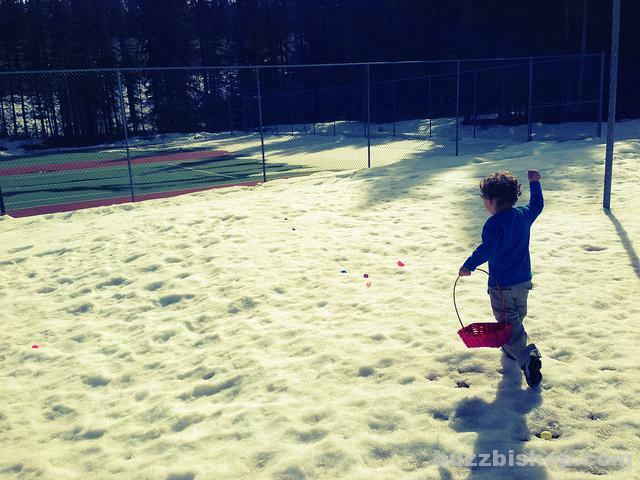 After some breakfast and playing, everyone heads outside to the playground to scavenge for colored eggs. The Easter Bunny makes a visit to trade the colored eggs for little bags of chocolate. It’s a perfect small-town event that isn’t too busy. UPDATE: See my apology in regards to the Bragg Creek event. XL 103‘s Egg-naugural Easter Egg Hunt goes Saturday, April 4 at Dressage in Silverado. There are over 350 prizes for kids (lots of chocolates and toys and books) & adults (including tickets to Lisa Lampanelli at the Grey Eagle Resort & Casino, Def Leppard, Neil Diamond & Cirque du Soleil‘s – KURIOS. Gift certificates to Pink Lime Salon & Spa, Cash and more.) The first 30 people to check in after 12:00pm will receive a free Easter Basket with goodies. 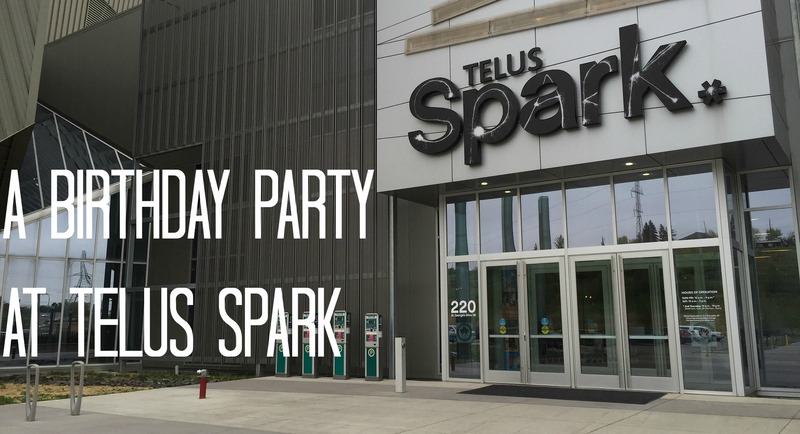 Spring Sparktacular celebrates the season at TELUS Spark on April 3 and 4 with hands-on activities for the whole family with a science centre twist. Build the town of Bunnybotville, try your hand at the classic egg-drop challenge, make seed paper for planting in your garden and of course you can collect some tasty treats from the Cococo Chocolatiers Easter Bunny. 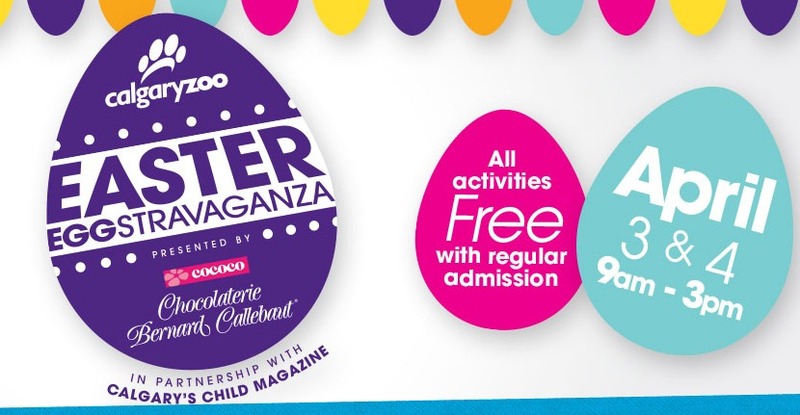 The Easter Eggstravaganza at the Calgary Zoo is one of the most popular events around. The 2015 event goes on April 3 and 4 from 9:00 am to 3:00 pm. Kids of all ages will love the face painting, sweet treats, bunny races, fun crafts and more! The event will go rain or shine! 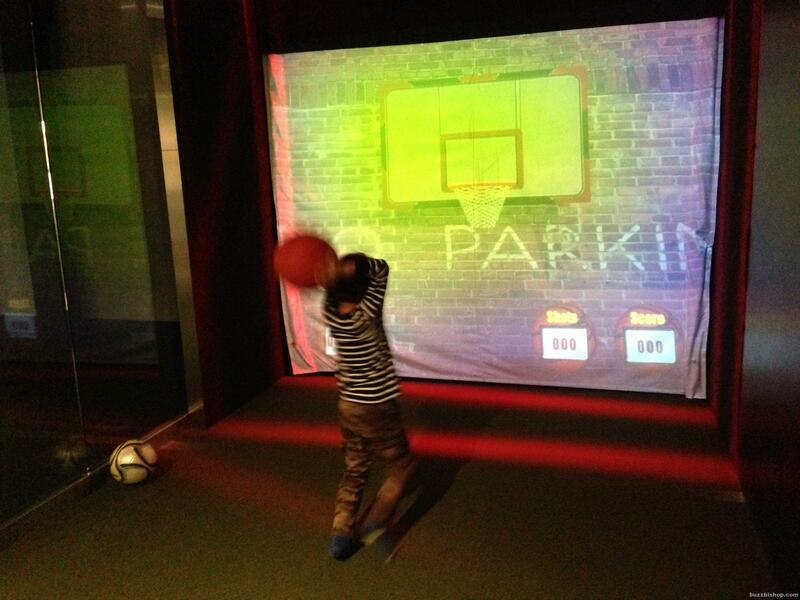 All activities have indoor locations, so don’t fret if it rains, snows or the sun is out…we have you covered! 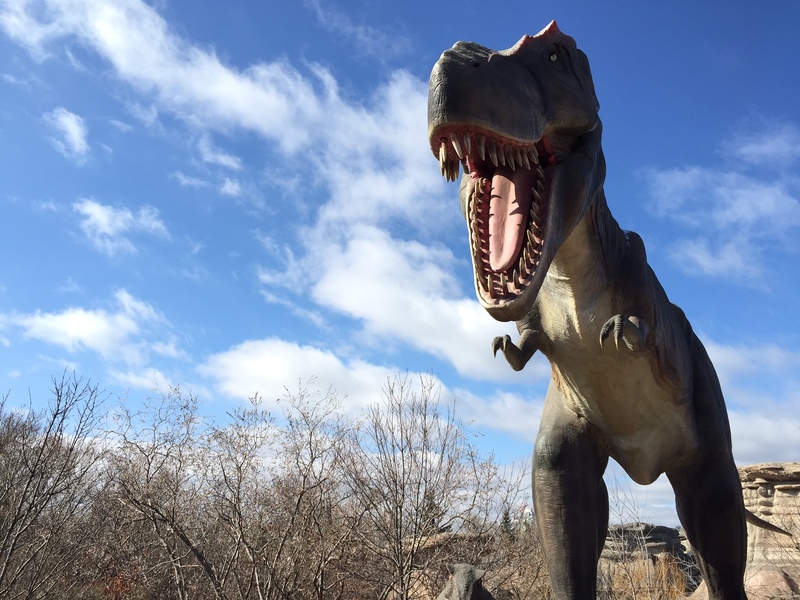 Don’t forget, Dinosaurs Alive will be open as well!! Along with a Scavenger Hunt and traditional Easter Egg Decorating, Easter Sunday Brunch in the historic Wainwright Hotel at Heritage Park is a Calgary Easter tradition. This year’s Easter Sunday Brunch is on April 5, 2015. Adult – $31.95+ GST, Children (12 & under) – $21.95+ GST, Children 2 and under – Free. Call 403-268-8500 for reservations. There are two ways to participate in the Marlborough Mall Easter Egg Hunt this year. You can seek out a dozen eggs scattered around the mall, or you can hunt through their social media accounts for more eggs! 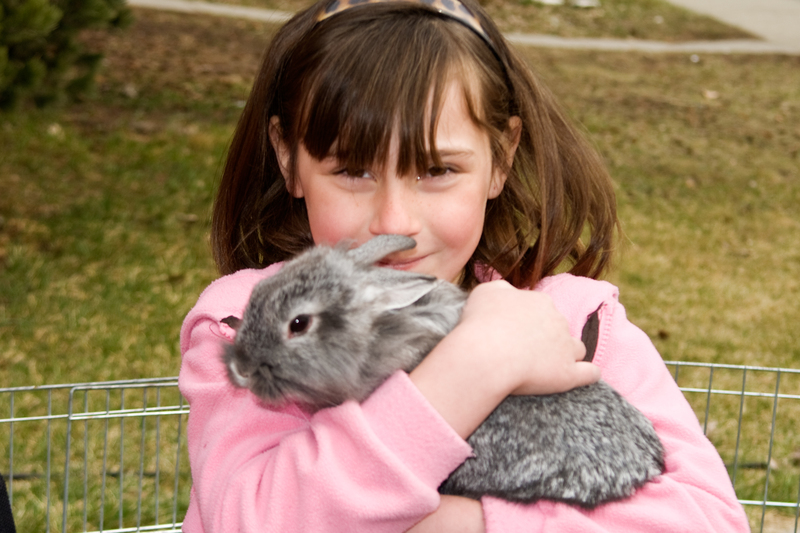 The Great Legendary Easter Hunts at Butterfield Acres happen on weekends from March 28 – April 4, 2015. 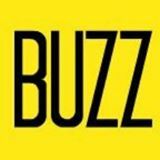 It is a ticketed event for specific times and often sells out very quickly, weeks in advance. Admission is $13.99 for adults and $11.99 for children. Starting in one of the barns, the kids listen to the Legend of the Easter Bunny! Then it’s off with their baskets to do his bidding with a special hunt. When the children find the items the Easter Bunny needs, they’ll send them down the tunnels to the Easter Bunny’s Secret Workshop where he’ll magically turn them into Easter Eggs. Butterfield Acres then opens for the season on Easter Sunday. The Easter Bunny will, once again, visit The Calgary Farmers’ Market. He will drop in on Saturday April 4, 2015 between 11a and 2p. To get as much Easter in as you can, the Trico Centre’s Easter Eggstravaganza Easter Party happens on Thursday, April 2, 2015. There will be face painting, crafts, games, and more. $20 per family for non-members, $15 per family for members. If you want to head further out of town for the weekend, there are more events in the mountains. There is still snow on the hills and, let’s be real, eggs are easier to find when they’re on snow. 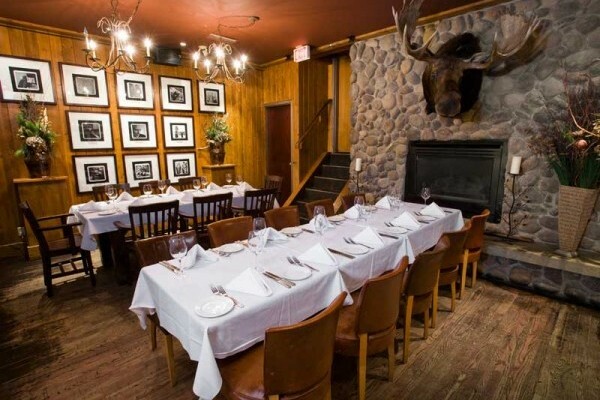 Mount Norquay is celebrating Easter with some skiing, some hunting, and some brunching. The best of everything! At 10 am, all kids are invited to meet on the patio of the Cascade Lodge and spend half an hour digging in the snow for hidden chocolate treasures left by you know who. From 10 am – 1 pm, Easter Brunch will be served in Kika’s Cafe and then you can hit the slopes for the afternoon! There are golden egg hunts, basket crafts, a kids club party, and a magic show spread out over the entire Easter Weekend at the Banff Springs Hotel. On Easter Sunday there is the Annual Easter Egg Hunt in the Alhambra Room at 9am. Every year the Easter Bunny visits The Fairmont Banff Springs and leaves lots of treats for the young guests. A separate area is set aside just for infants and toddlers. After the hunting, Easter Sunday Brunch in the Riverview Lounge is set up ($69 for adults, $29.50 for kids 6-12). Reservations are recommended for the lavish brunch featuring traditional Easter favorite. 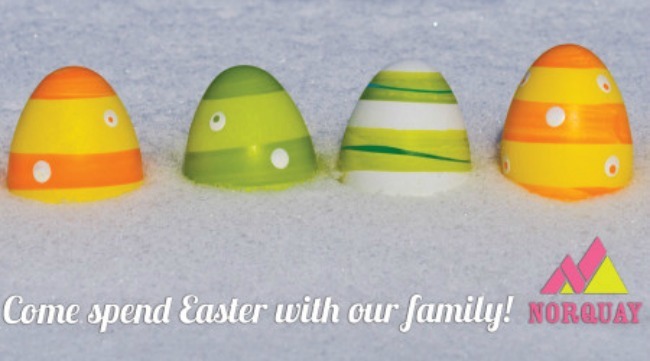 Further up the Icefields Parkway, Jasper Park Lodge serves up a similarly extravagant Easter weekend with their Easter Extravaganza, including Easter Egg Decorating, Scavenger Hunt, Daily Crafts, and so much more.